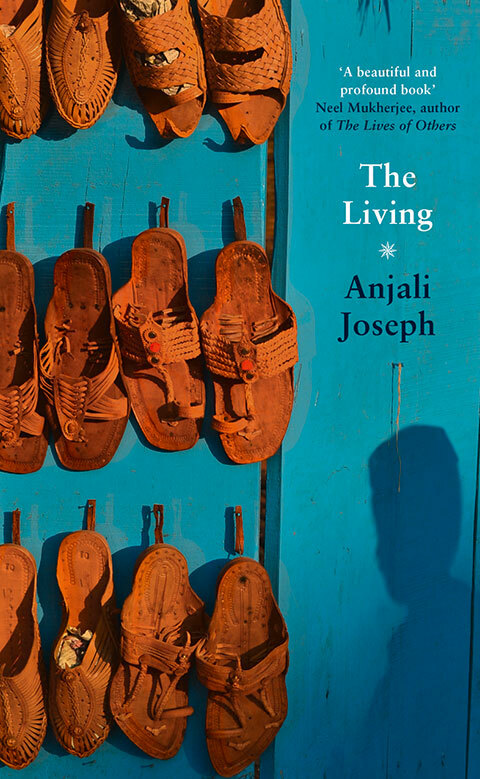 The Living is award–winning author Anjali Joseph’s third novel. The book, she says, was an attempt at a magic trick—to deeply stimulate the reader while appearing very little to do so. The Living is Anjali Joseph’s third novel. Photograph by C J Humphries. The Living is set so much inside the characters’ minds. Did gender play a role in how they perceived and responded to their situations? The novel is all about the two narrators’ experiences. How much are they a typical man and a typical woman? I don’t know what that would mean. Do you know a typical man or a typical woman? The closer we look at or listen to anyone, the more we discover some areas that seem generic, some areas that are peculiar to him or her. I was just getting to know these two people, not trying to construct a woman and a man as such. It also struck me that Arun is more discursive, more talkative, more recursive in his thinking than Claire, who is on the whole less self-pitying, more active, and more reticent. Apparently he is more stereotypically feminine, then, and she more stereotypically masculine, but nonetheless he is (to me) quite clearly a man, and she a woman. It is interesting that despite their very different circumstances, both of the protagonists feel invisible. With Claire, it seems more obvious why. Do you think this loneliness is the outlook of a kind of contemporary fiction or increasingly a predicament of life? I don’t think contemporary fiction has a single outlook. I do feel that most people I know have these moments of feeling unseen—by their families, their colleagues. Many of us don’t perpetually feel foregrounded or centre stage in our own lives. There is so much noise, and lapses in attention are frequent. We forget to spend time with ourselves, and feel neglected. Well, both these people are working people. In some sense the book relies on the conceit that these are their voices. Arun is a little more theatrical than Claire but neither of them is leading a life where they are encouraged to believe that their inner workings are of widespread interest to others. Neither of them necessarily has a context that encourages expansiveness. And also, in the things I’ve been reading I’ve been thinking about how much can be done in fiction with the least amount on the page—how much a writer can make happen in a reader’s heart and mind while appearing to do very little to stimulate this. It’s a sort of magic trick. “The moments when I understood her best, accepted her as she was, were also the moments when I was absolutely without desire for her. As though in being a person it was impossible for me also to be a man.” This resonated with me, its honesty, its starkness. Can you remember how it crystallised? I don’t know. I just had the feeling it was true. He is being honest with himself in a way he could probably never be honest with anyone else, and perhaps part of what stimulates that is the sense of an ending, if not imminent, then not very far away. Some people have a larger urge than others to see the truth of what they are, how they live; if you are limping towards the end of your life, perhaps the desire to see it clearly increases. And he does love his wife, but this love hasn’t arisen in the places or ways he would have thought to look for it. Did you have to consciously shed or evaluate your language in order to do justice to the protagonists who inhabit a very different world? No, it pretty much just happened. There were modifications as I wrote and revised, but I knew who these people were. What do you feel about the contention that literary fiction often evades something of a ‘plot’? I don’t know if it generally holds true. Any good novel sets its own terms early on and the reader can accept them or wander off to continue with his life. Plot is one of the seductions of fiction but there are many others: a writer’s gaze, or humour, or insight, or use of language. What has changed from your first and second to the third novel? I am not sure this is true for everyone, but are writers inclined, with time, to be less autobiographical in their stories? Well, each one is different, and trying to do something different. I find with each novel it’s a case of finding out how to do something that feels new for me. I’m always using elements of things I’ve seen, heard, experienced, and read. I’m also always interested in people and things that aren’t me. The two balance out differently at different points. How would you describe your time at the University of East Anglia? Given the times we live in, can M.F.A. programmes fall into the trap of manufacturing ‘market-friendly’ writers? I’d been working for almost a decade when I did a master’s degree. It was a good year for me. One thing that happened is that I found friends who talked about books the way I thought of them too. Even though I’d studied literature at college, this hadn’t happened to me before. Do M.A. and M.F.A. programmes manufacture writers? I haven’t seen that, but I’ve only experienced one. Nor, sadly, do I think my writing is particularly market-friendly, whatever that means. What are you working on currently? What do the next few months look like for you? I’m working on a novel, doing some teaching online, and there’ll be a bit of travel to attend one or two literary festivals. Other than that, I really don’t know where I’ll be or what I’ll be doing, but things keep happening. 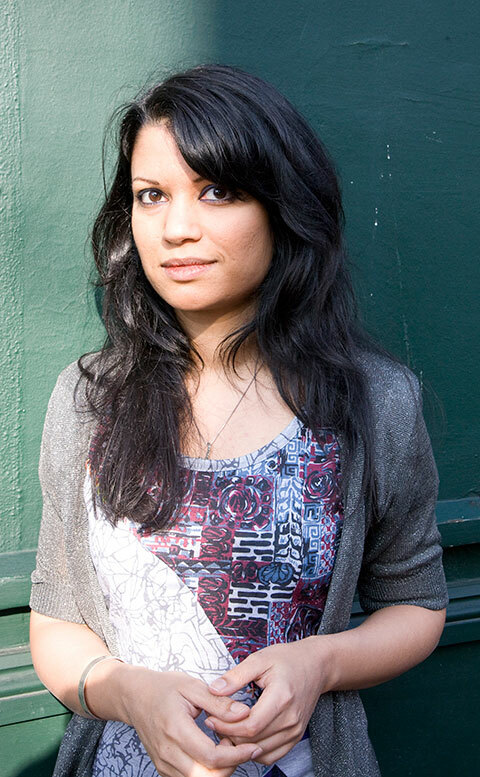 Click here to read our September 2010 interview with Anjali Joseph. Click here to read our review of Anjali’s second novel Another Country. Click here to purchase The Living. Niharika is a freelance writer currently based in Budapest.